of Grupo Capoeira Brasil Indonesia. Since 1974, Mestre Itaborá Ferreira has been practicing capoeira. He started his capoeira education in Rio de Janeiro under the direction and guidance of Mestre Camisa (the head Master of Abada Capoeira). Mestre Itaborá also studied at the National School of Folklore, in Rio, from 1973 to 1976. 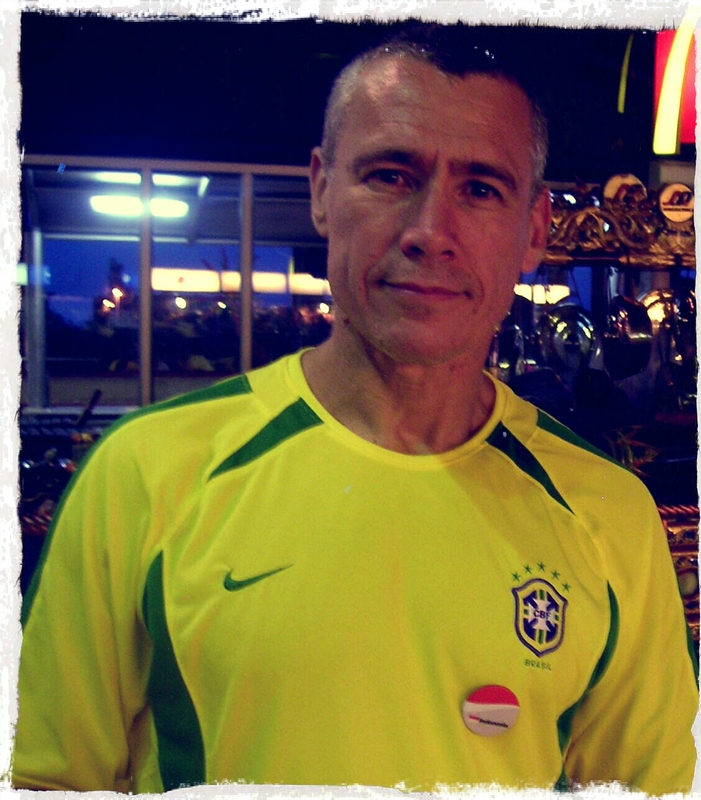 He received his graduation from Mestre Camisa in 1996 at Circo Voador in Rio. In 1990, he spent several months in the city of Salvador, Bahia, learning Capoeira Angola from Grand Master João Grande. In the United States, Mestre Itaborá Ferreira has taught capoeira and drumming classes at Yale University, UCLA, UCSC, UC Riverside, Stanford University, and more recently at Cabrillo College in Santa Cruz, California. He has also participated in many community art projects from New York City to Oakland, Berkeley, and Santa Cruz. Mestre Itaborá Ferreira is also a 2-time Brazilian Jiu-Jitsu World Champion (Rio de Janeiro, 2004-2005) and a Brazilian Jiu-jitsu Pan American Champion (Los Angeles 2005). He has a bachelor’s degree in Sports Nutrition and holds 5 personal training certifications (NASM & NCSF). Mestre Itaborá always bring the positive energy of Capoeira, not only to a roda, but also to daily activities as well, so by being a good Capoeirista, one should also become a good person in life.